This frosting is quite possibly one of the best to come out of my kitchen. It’s dangerous in the best way possible – creamy and rich without being overly sweet. I really don’t know how I was able to save enough for the chocolate cupcakes. Best of all, it’s just two simple ingredients: Full-fat coconut milk and chocolate. That’s it. Yes, you really can make a luxurious, creamy frosting without butter or shortening! Unlike regular frosting, there’s no fussing with icing sugar messing up your kitchen. Don’t you hate it when the icing sugar leaves a coating of powder over all your appliances and counter? I sure do. With this recipe, the only thing that got messy was my face because I couldn’t stop eating it. 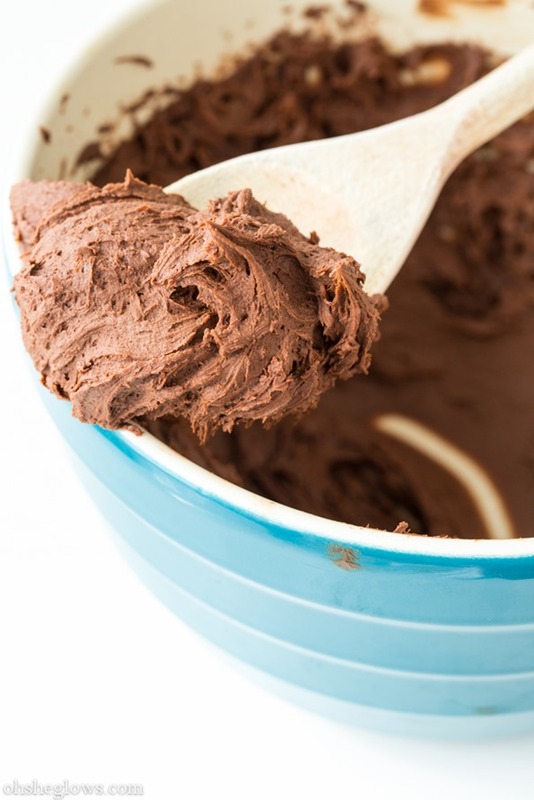 The flavour and sweetness of this frosting will vary depending on the chocolate you use. Most chocolate should work just fine, although I would caution against using a super bitter variety. Stick to under 70% cocoa and you should be safe. If worst comes to worst, you can always add a bit of sweetener if need be. I threw in a pinch of fine grain sea salt at the end to enhance the sweetness. Insert face into bowl here. 1. Chill can of full-fat coconut milk in the fridge overnight. When ready, flip can over and open with can opener. Pour off the water (you can save it for a smoothie or discard). Scoop only the solid white coconut cream into a pot. Add the chocolate chips into the pot as well and gently melt the coconut cream and the chocolate chips together over low heat. Stir frequently and be careful not to burn. 2. Transfer this mixture into a bowl (cover with wrap) and then into the fridge for 2-3 hours (or overnight) until it firms up enough to whip into frosting. You really just have to eyeball it as I expect the timing for individual batches will differ depending on how cold your fridge is. I put it in the fridge overnight and then left it on the counter for the entire morning until I was ready to frost the cupcakes in the afternoon. 3. 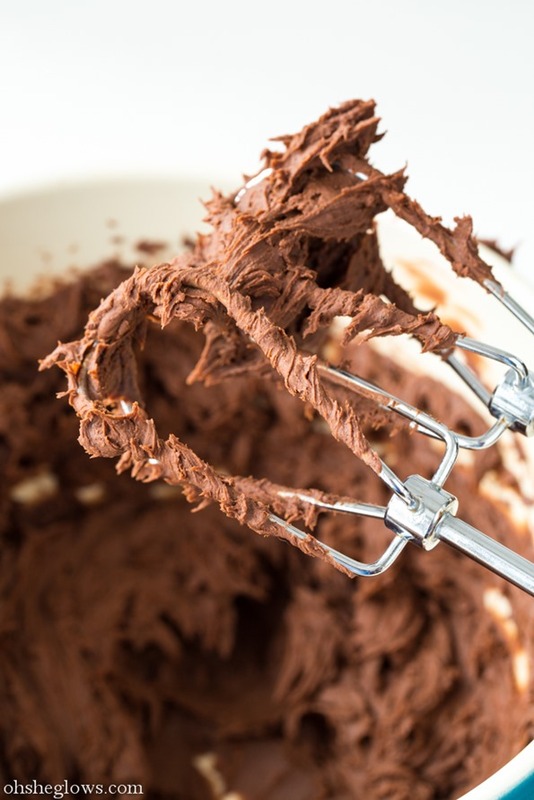 When it’s firmed enough to your liking, whip it with electric beaters until smooth and creamy. If it’s still too firm, you can leave it out on the counter for a bit longer. I didn’t need to add any milk to thin it out or any sugar to sweeten – it was just perfect as is! If your batch tastes bitter, you can always add a bit of sweetener to your taste. I also like to add a small pinch of fine grain sea salt to make the flavours pop. Note: On a hot day, this frosting could melt. Be sure to keep frosted cupcakes in the fridge until ready to enjoy. Looking for a vegan cupcake recipe? Find my favourite chocolate cupcakes here. Many of you have had trouble making whipped coconut cream with certain brands because some cans don’t always separate. A reader let me know that Thai Kitchen has changed their formula so that it doesn’t separate anymore. Apparently they are coming out with small cans of pure coconut cream instead. Be on the look out! I used Native Forest with decent result, although I have had some duds. I think I need to make cupcakes right away to smother this frosting all over the top. Oh my, this frosting looks delicious!!! Can’t wait to try it. Happy Victoria Day to you, Angela! Aw, what a bummer about Thai Kitchen. Hopefully, that isn’t the norm! “We used to have two sources for our coconut milk, however, now we only source from Thailand. We used to also have coconut milk from Sri Lanka, which is what the Amazon reviews refer to. Our cans will always state their country of origin on them. Don’t know if that is just for NF brand but my coconut milk from Sri Lanka works perfectly. 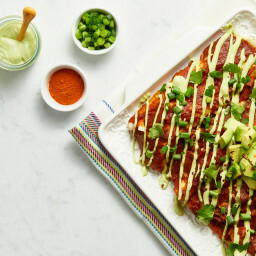 In fact, it is the only one I’ve found in my area that does the trick (and of course the most expensive one out there ;) ) This recipe looks amazing! Will definitely try it over the weekend. Just wondering how much cream should be going into the recipe. I didn’t get very much and am wondering if it will be enough. I use the regular full fat Thai Kitchen coconut milk.I haven’t had any problem with it not separating,although their organic coconut milk won’t separate when chilled. that whipped cream looks yummy! This is perfection. I can’t wait to make it! Woah, I’ve been waiting for a frosting without powdered sugar! Thanks for sharing, and Happy (belated) Birthday to you too!! OH. MY. GOODNESS!!! This is genius! I can’t wait to slather this on cupcakes, brownies, my finger…oops, did I say that? What!? This sounds amazing! Now I’m kicking myself for not buying coconut milk at the store yesterday. I’ll definitely be trying this soon! Looks delish! 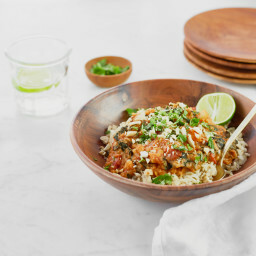 I know I won’t be the only one who wonders this, but can you use the lower fat coconut milk for this or do you need full fat? Thanks! I would worry that the light coconut milk would make it too thin? Not sure though. Report back if you try it! I’m so relieved as all I’ve had was dud coconut milks on 3 occasions but never thought it was the brand that was the issue. Going to try Thai Kitchen brand. I just gave up on the whole thing really. I’m stoked about the endless possibilites! Do you have any ideas for coconut milk alternatives? So many of your yummy-looking recipes use coconut milk, but I’m allergic to it, as well as all tree nuts. Hmm…In this recipe whipped avocado might work, but I haven’t tried it yet. I’ll let you know if I think of anything else. Let me know how it goes if you try it! You might need to add sweetener too since the avocado flavour can be a bit strong. I was told that when you use avocado for fudge to microwave it first for a little bit so you can’t taste it as much. I made HH’s avocado fudge and nobody else in my family would eat it because you could taste the avocado. I plan on making it again after getting this tip! Avocado, raw cacao and a sweetener such as maple syrup work well. I often add a bit of chia and it becomes a pudding. You may want to add some liquid if it is too thick. It looks so fudgy, fluffy, and perfect! Coconut milk is such great stuff! I recently just made vegan bread with coconut milk and coconut oil and love baking with coconut oil! Do you think this method would work with peanut butter? I love coconut milk-based frosting, but have yet to find a good peanut butter frosting recipe. I too was thinking about chocolate PB version…I think it could work! I’ve only tried to make whipped coconut cream once, and it failed. It was separated into fat and liquid in the can, and was well chilled. I figured my problem was that I whipped it to heck in the Vitamix, and got curds of coconut butter. Next time I plan to try a gentler method. I bet avocado and melted chocolate would make yummy icing, too. I’ve made frosting using avocados (didn’t have any butter that was soft enough). I could taste the avocado so I added mint. Everyone loved how creamy the frosting was, couldn’t believe it was avocado. I will need to try the heating sometime. I believe when you make whipped coconut cream, after you refrigerate it you pour off the liquid and just use the coconut cream. Love this! I’m making cupcakes today and will try it. Keep in mind you can get cans of coconut cream, so just the thick stuff, and use that right from the can. It’s available at Trader Joe’s on the cheap, maybe $1.19 or so? Yes, Andrea! I was just about to post this same thing. 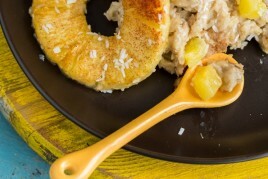 We use the TJ’s coconut cream for any recipe that calls for chilling a can of coconut milk. It is the only one I’ve found that is actual coconut cream, not coconut cream + a bunch of sugar and other nasties. Are there Trader Joe’s in Canada? I also use Trader Joe’s Coconut Cream. 95% of the can will solidify when cold, leaving just a trace of liquid. Plus, it’s only $1.49 a can! My nearest Trader Joe’s is 2 hours away, but I drive up every 8 weeks to stock up on many things that I get there, as well as from Costco. Hands down, the best cream for whipping into frosting or using for ice cream, has been the Trader Joe’s version. Is a can of coconut cream equivalent to [a can of coconut milk minus liquid]? That is, would I use the whole can of coconut cream for this recipe? i saw your comment and i was wondering if the coconut cream worked for you? i want to try it but i want to make sure it works first. Thank you for posting this. I also bought trader Joe’s coconut cream and was going to experiment to see if I got more volume that from coconut milk. Can’t wait to try it! Simple recipes are the greatest, especially for something like frosting, which is usually made in addition to having to bake something. Long ingredient lists always deter me! This recipe is awesome, and I love that is uses coconut milk instead of something more processed like soy creamer. I LOVE the simplicity here! Coconut and chocolate are two of my favorite food ever, so I’m all over this. Now I need to whip up a batch of cupcakes! Oh YUM!! I hope you had plenty of this while celebrating your birthday, Ange!! As you know, I don’t do a ton of baking but I want to now, just so I can make this frosting! In the past, I haven’t been a huge fan of coconut but it seems to be making its way into my meals in all forms lately, especially coconut milk. One thing I didn’t know was that coconut cream is actually sold in bars – like solid ones! I thought it was just the really really thick bit on the top of the can of coconut milk. Guess you learn something new every day! I love making that kind of frosting too. It’s like a ganache, and then when whipped – ta-dah! a frosting! 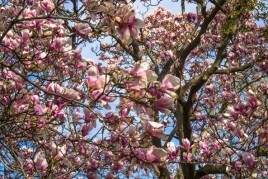 Your pics make me want to make it today! Hi Joanna, On a hot/humid day, I would say yes keep it in the fridge. When I made it, it was quite cool in here so I didn’t find it melted much though. Wow, I love it! It’s so hard to find a good vegan frosting recipe, and this one looks so thick and easy. Pinned! I love frosting! This recipe sounds amazing! I can’t believe it’s only two ingredients and vegan…perfect! Definitely going to put this on my make this list!!! Love the simple ingredients! I love vegan frosting! I think it is i the BEST and I now know how to make my own. Score! Whoa girl, just whoa. Face plant and lick the bowl clean! Can’t wait to try this! So simple! It’s usually the type of shortening that leaves that nasty coating on your tongue. This looks delicious! I’m a newbie in the cooking department, so I have a couple questions about coconut milk. First off, does it taste like coconut? I’ve heard that it doesn’t. And secondly, what exactly is the part that’s used in the recipe? Is it a cream or solid or what? Thanks! Hi Macy – yes it’s the solid white cream part – the murky water is discarded (or saved if you want to use it elsewhere). I find it does taste like coconut, but I don’t notice it as much these days as I’m pretty used to the flavour. The chocolate in this recipe tends to mask the flavour anyway. I’ve used Wholefood’s 365 brand for whipped coconut cream and had great results. The full fat version separated very nicely. I’ve had a few “dud” cans as well as a few that worked fantastically! I love that you made frosting without powdered sugar or shortening, that makes it healthy right? Coconut & dark chocolate for the win!! This looks absolutely delicious! What a lovely, simple treat. And thank you for the extra info on the coconut milk. Think I need to whip up some of this to put on my oatmeal tomorrow morning! I just made this to frost some basic vanilla cupcakes and it turned out delicious! A few weeks ago I bought the coconut milk from T&T (Asian grocery store in some provinces in Canada), it’s super cheap (I think they had it on special for 69 cents/can!) and so far every single can I’ve used solidified completely, just make sure to give it a shake before putting in the fridge. The only problem I had was as soon as I started frosting, everything started getting really soft and runny. But I think it was because with this weather the house was at 28 degrees with no A/C on. Fixing that and putting the frosting back in the fridge for a little while longer solved the problem. Amazing! Thanks so much my daughter’s birthday is next week and I was in desperate need of a really good frosting! Angela, this looks so yummy and so easy. I am a huge fan of quick and easy recipes. I love the fact that it is made with coconut milk and not cream or butter. With there being so many allergy issues this is an added bonus. Have you tried making it in any other flavors? I was wondering how it might be with butterscotch chips. Also, have you ever added orange zest or any other flavorings? It seems like there could be a variety of options for this. I think I might find the need to bake a cake very soon! You are truly a sweet genius! AMAZING! i use this frosting all the time .. i love ittt!!! Seriously!??? This is the most beautiful frosting I’ve ever seen. Does this frosting need to be refrigerated? Awesome, I’m tired of margarine and icing sugar frosting, thank you Angela! The uses for coconut milk solids are endless! Thanks for posting this delicious recipe! I love cooking/baking with organic coconut milk. I learned so much from this post and especially reading the comments. Pretty impressive that you spend so much time not only posting these recipes, but also taking the time to answer questions. Glad to have found your site and look forward to learning more. Time to check out the breakfast and desserts sections ;) haha. Thanks for all that you do! You had me at no powder! I love baking, but is there anything that spreads EVERYWHERE quite like powdered sugar? I think even I could handle this! New to this blog and what a godsend, as I just decided yesterday to go vegan. I am a Foodie with a recipe obsession, and I cannot wait to try your recipes. I feel more confident in taking my first steps! Congrats Sher – I hope you enjoy them! 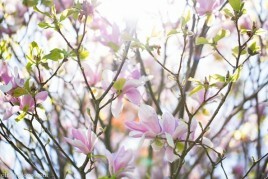 Hi Angela, I love your blog! I’m definitely going to try this out because I hate how most frostings require so much bad fat and sugar! Thats great and amazing. I will try this..!!! This looks super yummy. I’ve just started using the full fat coconut cream/milk in my cooking. It makes such a luscious whipped cream! I can’t even imagine how good chocolate would be added to that! This looks so amazing, I want to put my face in it! What a great idea, thanks for sharing! i have had good luck with the GRACE brand coconut milk. I’m not quite sure if it’s any healthier for you, but I have been making a frosting recipe from the new Engine 2 book (My Beef with Meat) and it only has three ingredients: Silken tofu, vegan chocolate chips and vanilla. It’s incredible! It doesn’t have the saturated fat of the coconut milk, but I know some people don’t love the idea of tofu (for whatever reason), so there is a place in the world for all variations of vegan frosting made with simple ingredients! I made a chocolate cake last night and this frosting would have been amazing on it!! Next time for sure! You had me at “frosting” Ang! But 2 ingredient…oh heck yes. I will make sure to try the right kind of cocount milk as I have tried dud cans before. Thanks for sharing!! :) Match made in heaven! Wow, I love the recipes. It’s tricky with kids to keep them loving food knowing that they are eating veggies too. WOW WOW WOW! Looks like chocolate heaven if you ask me :D YEEES PLEASE!!! Well, this is brilliant! I can’t wait to try it. Now I just need an excuse to bake a cake. oh wow…cannot wait to try this!! I made this, and it definitely needs a good long time to re-set, but it is sooooo worth it! I almost couldn’t stop eating it off the spoon, it’s so good! I actually used a can of chilled Aroy-D coconut cream, which I buy at asian supermarkets here in Toronto. Much easier, imo. You can buy coconut cream from Asian supermarkets. Then, you don’t have to worry about the coconut milk separating or not. I always go to a local Asian market to buy the coconut cream for coconut whipped cream or anything else I just need the cream for, and it works great! Doesn’t matter which brand so long as it says coconut cream on the front. I’m glad i’m not the only one that had this problem with the coconut cream! Thanks for the suggestions, will try it again! How strong is the coconut taste? I’ve had a can of coconut milk chilling in my fridge for about three weeks… was going to make thai food but I could try this! I could detect the coconut taste but it wasn’t overpowering to me. Hi, Angela – A few people have mentioned simply buying a can of coconut cream. If I did that, how much of the can should I use for this recipe? Im not sure Ive never used it before – sorry! Maybe 3/4 cup or so? I posted a reply on page 1 which may be helpful, however, I have not tried coconut cream either. I made this amazing frosting last week to top my son’s double layered cookie cake for his birthday. We all love cookie cake, but this frosting made it AWESOME! I have bragged to everyone about how delicious and easy it is. Can’t wait to make something for the church bakesale utilizing this frosting. Thank you for sharing your talents with us! can’t wait to try this- looks AMAZING!!!!! hi there! i was just wondering if i can freeze this and use it later?? or how long do you think it will keep in the fridge? Hi Belkis, I do think this could be frozen and thawed, but I don’t think it would stay good in the freezer for longer than a week or so? Just guessing here. Let me know if you try it out! I think it would stay good in the fridge for a week in an air-tight container. good luck! I made the whipped coconut cream the other day to have with strawberries – so ridiculously good! If you don’t have a bag of chocolate chips and can’t have coconut I found if you take 3 tablespoons cocoa powder and 1 tablespoon oil of any type and mix together well. Sometimes I add a little bit of maple or brown rice syrup if I want a sweeter taste of chocolate. The ratio for cocoa powder and oil is 3-1 if you are looking for more amounts. Just made this for my dad for Father’s Day! I made it into a cake instead of cupcakes. I also made the 2- ingredient chocolate frosting! It’s soooo good! Definitely will be making it again! I used oat flour and coconut sugar. All I can say is WOW!! How does one from eating the whole batch : ) Can’t wait to make this!! Oooh, love the idea of not using shortening too–and powdered sugar! Brilliant! I use Aroy-D brand (from our local asian markets) and it’s almost ALL cream- maybe 1/4 cup of coconut water :) Yum! Oh my gob, this looks so good! I may have to do some baking despite the summer heat just to try out this recipe. Hi! I used a can that wasn’t a “dud” – full fat and the cream separated really well. I gave it about 6 hours in the fridge once it was melted with the chocolate, and it came out really firm. But it seems that no matter how long I whipped for (using a machine) it would stay soft and wouldn’t get a frosting consistency! Do you whip yours for a very long time? I whipped for at least 15 minutes at high speed. Yes, it’s supposed to have a soft texture (think similar to regular whipped cream or even cool whip) I recommend only whipping it for a minute because whipping it heats it up and makes it even softer. Best to use a chilled bowl too. This has got to be the most interesting, or let me say the yummiest recipe I have come across this year: 2-ingredient chocolate fudge frosting! By the way, you also attested to the awesomeness of this wonderful recipe by saying that it is one of the best things to have emerged from your kitchen. I have no problems at all with the recipe, I love it, it is very simple and not tasking in any way, just two ingredients and that is all. However, I still have my fears. One, how does one balance the whole thing to ensure that it does not come out too sweet like a bowl of sugar? Then two, you mentioned that the coconut milk should be ‘full-fat’. Is that not going to be too much calories? With the choco? I use Thai Kitchen most of the time, but if I am making whipped cream I only use Safeway Organics Coconut Milk. I think it has to be the fattiest out there and it has never ever failed to separate for me. On the special occasion days I don’t want to chance it with other brands. Whoops! I of course meant to add that this recipe is a wonderful idea and I have it on the stove right now! I have also noticed a product in supermarkets called Coconut Cream. Could it be substituted for the coconut milk? And if so, would you still need to refridgerate overnight? It looks delicious! Hi! I am about to make this with the coconut cream — any tips? Really looking forward to trying this! When I saw ‘2 ingredients’, I figured one of them would be something really hard to get hold of but no! I wanted to ask though, have you tried to make any other flavour frosting this way, such as vanilla? I was so excited about this recipe. I got the same brand coconut milk that is pictured and let it set in the ice box for 3 days. Opened it last night and it was a dud :(. This recipe is a real game changer for me in the frosting world, I detest icing sugar! I made it today, so I didn’t have any cold coconut milk to separate. Being the daredevil that I am, I went ahead and used a can of coconut milk right out of the cupboard and left the cooked mixture in the fridge for a couple of hours (brand was Thai Kitchen premium coconut milk). When I whipped it up it became a little stiff, but I popped it in the microwave for about 15 seconds and whipped it again, and it was the perfect consistency for spreading on my banana cake. What a beauty, wish I could share a photo of it. Thanks for the recipe. I made this to slather on my son’s first birthday cake and everyone loved it! So easy! So delicious! Thanks for providing the perfect frosting recipe!!! I made this over the weekend and put it on your gluten free vegan browines. Absolutely delicious. Raving reviews from everyone. I put a couple in the freezer last night that I will sample one tonight. I need to make more for a fundraiser this weekend and I’m hoping that I can make them ahead of time and freeze them. Have you had any success with this? Hey Tracey, I’m so sorry but I don’t think I’ve tried freezing them yet! Will have to try that sometime. I hope it works out for you…let me know if you end up trying it out. I tried it and it was good! I found that for some strange reason it seemed to be creamier and chocolatier once it thawed. I had put it on your vegan, gluten free brownie recipe and they froze/defrosted nicely as well. The recipe makes more than I can put on the brownies but my brother-in-law finishes the icing off on its own calling it his “chocolate fudge”. Hi! Have you tried using Coconut Creme? They have it at Trader Joe’s and I am wondering if that would work without having to separate it out and all that? Thanks for this!! My little one cant have milk so Ive been looking for a yummy not too sugary icing to do his cake smash with! This sounds perfect!! I was just wondering if you think it would work with white chocolate so I could colour the icing? I know white chocolate is different composition to chocolate, but it works fine in ganache? I just purchased case of Native Forest Coconut Cream so no more worries about the milk not separating for me! It will be perfect for this recipe. Thanks! Hi! I just had to stop by and let you know that I used this frosting on my mom’s 50th birthday cake this past weekend. Everyone loved it! We had a some attendees present that are hostile to healthy vegan cooking, and even they couldn’t offer anything but praise. That’s so great to hear! Thanks Charity. HBD to your mom! So look at the ingredients and find coconut milk with no added emulsifiers or stabilizers. I can’t stop licking my laptop screen! Snna.. you say you used a dud can and it worked? I just opened my chilled can and it was not separated at all, but still rather thick. When you say dud, do u mean you used a runny can of coconut milk ? Wondering what your consistancy was before chilling the frosting ? Ummm….it’s my understanding that leaving food out for more than two hours is a health risk. You left the chocolate cream out all morning??? That’s pretty gross! It’s obvious your not trained or qualified to be writing about food preparation! The reason it was left out on the counter is because it was very, very cold all morning (my fridge is a bit wonky and has the tendency of freezing things at the back!). By the way, I’m actually trained in food safety so I do take caution with these things. My food is out all the time, sometimes even overnight. And I’m fine. coconut has nothing in it, that has to be chilled, unless you wnat it chilled. Besides of that, you can generalize. My oven cooked meals stay in the oven, when I couldnt eat them all. You should rethink a) your behaviour and b) your living tendencies. This looks great! Does it freeze well for use at a later time or in smaller batches? Thanks! Oh, this is so good. I will be using this recipe over and over again for sure. I added a little powdered sugar because I wanted the frosting a bit firmer and sweeter; and a dash of salt wouldn’t hurt, but it wasn’t necessary. I used this frosting on vegan Samoa cupcakes, and they rocked! Thanks! I made this recipe for frosting and mine is watery thin. Only difference is I used coconut milk which is organic by So Delicious dairy free. This is in a carton not a can. Any suggestions? hello! just wanted to say that i made this frosting today using one full 13.5 ounce can of sprout’s brand coconut cream (no added sweeteners) and 10 ounces of semi-sweet chocolate chips and it was completely delicious! thank you for posting the recipe. the frosting ended up being more of a heavy whipped cream than a thick frosting, but i loved the consistency. it was just right on the quinoa chocolate cake i topped it with. thank you! Hi Angela. I love your website! I’m new (sort of; tried it briefly a year ago) to being a vegan and really enjoying trying new recipes. I’ve quickly become a fan of coconut milk. It’s amazing what it can do! I have the last of my icing sugar to use up on some black bean brownies today and would like to try your frosting for my next batch. Do you know if it freezes well? I prefer to spend a day or two cooking and baking and then freezing most of what I made. Best. Frosting. Ever. Just made a gluten-dairy-egg-free banana cake for my husband’s birthday– and used this delicious frosting on top. Genius. Thank you so much! This dessert was rich and decadent and all the recipes tasted so goooooood together! A nice splurge for my husband’s birthday cake. Have you ever tried to freeze this frosting? It’s my daughter’s bday this w/e and we’re going camping to celebrate. I was thinking about making the cupcakes, frosted, ahead of time and freezing them so that they travel more easily. Any ideas or tips? Instead of whipping to make the frosting roll them into little truffles add flavor and dust with cocoa powder..YUM! Hi Angrla, quick question-I tried making this using white chocolate and it never hardened even after being in the fridge overnight. It was super runny and no amount if whipping could help it. Any advice? Thanks in advance! This recipe is a take on a whipped ganache. I’m not sure if I’d like the coconut flavor in the frosting. You could substitute heavy cream for the coconut milk. I always melt the chocolate and cream in the microwave. Depending on the ratio of chocolate to cream, you end up with a thick ganache – to make truffles, a medium ganache, or a thinner ganache – for a poured glaze. The ratio for the thicker ganache is 1 to 1, for truffles or a whipped frosting. Hi,has anyone tried to make a cream cheese frosting with the canned coconut milk? I’m sorry I’m not sure as I have not tried freezing it before. Is 18.8 % fat considered full fat? Here in Israel there is coconut liquid and cocnut cream. I’m assuming you mean the latter. Native Forest— coconut milk from Thailand didn’t separate :( I’m crossing my fingers and chalking it up to Mercury being retrograde. I will try again because this recipe looks too good! Awesome recipe! It is a shame that vegan chocolate costs more than regular chocolate. It will cost me $7 just to make this frosting. Yikes! 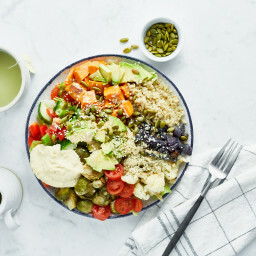 Any recommendations for other vegan, possibly cheaper brands? I found coconut and coconut butter, and coconut milk but not coconut cream? Are oil and butter the same thing as the cream? Hi Nichole, Actually what you want to get is the FULL FAT canned coconut milk. Refrigerate it for 24 hours, open can, drain off water, and only use the remaining white cream portion. Hope this helps. So i made this, and it was so thick more like fudge, delicious fudge, but i was wondering if i buy the small can of premium coconut do i need 1 or 2 of them for this recipe?? umm can i use coconut cream instead of coconut milk? If so how much more or less would I use and what differences would there be to the method and the final outcome? I was recommended to your site for a couple of recipes. I’m not sure how to email you so I hope it’s okay to comment here! I was told this recipe is amazing and it certainly looks to be, but I was wondering if there’s a “white” version as I want to make a white icing. I read the recipe for the coconut whipped cream but I would really like to make more of a traditional frosting. Please let me know if you have any recipes for white icing using coconut milk (or I’m open to other suggestion as well). Thank you! can you plz email me where to buy native forest full-fat without guar gum organic coconut milk in a can plz? I made this last night/this morning using Thai Kitchen organic unsweetened coconut milk and Ghiradelli semi-sweet chocolate chips (eyeballing quantities based on the proportions given) and it didn’t peak like yours did but I think it still could have been used as frosting for cupcakes, cookies, etc. with no problem. I added some unsweetened cocoa powder and it did peak, though obviously it changed the flavor, making it more intense and less frosting-y. I have a cocoa intolerance. Is there a vanilla option still with no dairy? I just made this yesterday for my husband’s birthday cake. I had a two layer GF, DF pumpkin cake and this frosting was deliciously perfect! After melting, I had it in the fridge for 4 hours and it came out rock hard. After letting it sit out awhile it was still too thick to whip. I added more cream from another can, some melted coconut oil, and a tad bit of maple syrup. It was perfectly smooth! My inlaws didn’t have a clue that it was DF or GF! We topped it with DF, GF ice cream and it was a big hit for all. Thank you! Oh! I used Native Forest Full Fat Coconut Milk and the Enjoy Life chocolate chips. I had an extra can of Native Forest’s Coconut Cream and used that for the extra cream I needed when whipping. I did a comparison of three different canned coconut milks (found at the bottom of the post I’m linking here) to see which performed best in whipping it. Some might find the comparison helpful. I love the idea of combining with chocolate chips. Thanks for the post! I use blocks of coconut cream for the Asian deli (toko) with a bit of water. Also when making small batches you cut off what you need, the rest stores well or can be frozen. I made this recipe this weekend to go along with the chocolate cake recipe from the OSG Cookbook. I used the same brand of coconut milk Angela used (Native Forest) and it turned out great! I refrigerated the frost for about three hours, took it out for 20 minutes and then used a stand mixer to whip into frosting. It was delicious!!! This looks sooo good :) I have tree nut allergy that included coconut…any suggestions for a cream that is dairy, gluten, AND tree nut free??? Will this frosting taste like coconut at all? Why is coconut milk that does not separate considered a dud? Isn’t the thick cream what you are after? I buy Acme/Albertson’s brand because it is always very thick with barely any liquid and use it in tea, chai, coffee and smoothies. Other brands seem to be 1/3rd liquid. Do you know by weight or measure how much coconut cream it would be by itself? I have a jar of just coconut cream instead of using the separated milk. Thanks! I just used the Thai Coconut Milk today and it does still separate. Can it be made with regular milk without the coconut milk? I am not a fan of coconut. Do you think it’s possible to turn this into a coffee frosting instead of chocolate? Mmmm…coffee sounds yummy. Adding espresso powder or maybe instant coffee to the chocolate would make a great mocha taste. Maybe adding a little sweetener to balance the bite of the coffee. Without the chocolate, I would definitely add a sweetener. Good luck! Coffee sounds delicious. Or even a mocha with a little added espresso powder, maybe a pinch of cinnamon. For straight coffee, maybe a little sweetener and espresso powder. Good luck and let us know how it turns out! I have finally found the best brand of coconut milk – CocoThai. You should be able to find it at an Asian grocery store. Thanks for the recipe! Is there any other milk that would work, not a fan of coconut? I really want to try this but like I said yuk on coconut! Try buying Native Forest No Gar brand. I have found it only in Whole Foods Markets, cost $3.75 or so. Where do I find dairy free chocolate chips? I had a hard time searching for dairy-free chips, but ended up buying the ones pictured on this page. They are Enjoy Life brand. I found them at Whole Foods. Ghiradelli carried a dairy free chip which sounded really good. They do not list any milk fat as an ingredient, but said ‘may contain dairy’. Check the ingredient list to be sure. The Enjoy Life brand listed ‘semi sweet chocolate’ as the second ingredient; others said ‘chocolate liquor’–I’m not sure of the difference. Enjoy Life also did not contain any vanilla, while some others did. Good luck! I realize this is an older post, but hoping you can answer. I’m planning to make cupcakes for my birthday this Monday and this recipe sounds like the perfect frosting. I had a bit of trouble selecting chocolate chips. I really had to read the bags as many contained milk fat, some just said “may contain milk”, most did not have a % of cocoa or state they were “dark”, some had vanilla, some sugar others evaporated cane juice. You get the picture. Anyway, I remembered what the bag looked like on your page and ended up with a 10oz bag of Enjoy Life. This brand did not contain vanilla as did many others. Is that something that needs to be added? If so, how much. Is semi sweet the same as dark? Thank you for your time!! Hi Gina, I don’t think it’s necessary to add vanilla, but if you want to experiment with the frosting flavour, you can of course feel free! Maybe try adding a bit of vanilla after you’ve made the frosting (maybe starting with ¼ teaspoon), and go from there, according to taste? Good luck! I bought a bag of “Enjoy Life” dairy free semi sweet chips at Wholefoods, ten ounces for $4.99. They don’t say dark as the recipe calls for. The other brands they carried said MAY CONTAIN MILK (Ghiradelli, 365 Dark Baking Chocolate Chunks). I think Sunspire were also dairy free, but were $6.99!! I think this refers to cross contamination in the factory. Does anyone know if you need to add vanilla extract as some others like Ghiradelli contain vanilla? Hi Kerri, the Enjoy Life semi-sweet chips should work just fine, though you may find the recipe a touch sweeter than if they were dark. I don’t think it’s necessary to add vanilla, but if you want to experiment with the frosting flavour, you can try adding a bit of vanilla after you’ve made the frosting (maybe starting with ¼ teaspoon), and adjust according to taste. Hope this helps! I made this frosting on the fly – starting last night, I refrigerated the coconut milk for 4 hours, then opened to make the ganache. I used store brand coconut milk and Ghiradelli semi-sweet morsels (which ‘may contain’ milk but it’s not an ingredient). Chilled the ganache overnight. Left it out for 20 minutes this morning, then whipped. Took to work, put in fridge until lunch. Had to frost the cake at 1:30 pm, and it was easily spreadable. Everyone loved the frosting more than the cake. I did lick the bowl and the beater this morning. Yum. This is easy to make if you have the time for all of the chilling. I will make this again for any reason. Thank you so much! Licking the bowls and beaters is the best part of baking, isn’t it? So glad the recipe was a hit! Guys! You don’t have to worry about finding the right brand of coconut milk. You can very, very easily make your own and it works great and it’s super cheap. Boil your tea kettle full of clean, filtered water (about 6-7 cups), pour over 4 cups of unsweetened coconut flakes in your blender (I use a vitamix), stir and let sit for 2 minutes. Then blend on the highest speed for 2 minutes. Pour your mixture (carefully, it’s very hot) into a nut milk bag ($10 on Amazon) and let it strain until it’s cool enough to squeeze, squeeze, squeeze! The extra squeezing at the end is where you’ll find all the delicious coconut cream. Refrigerate in a mason jar or two, then scoop out as much cream as you want from the top of your jars. I usually get about 2 cups of the dense cream and the rest is blissful coconut milk. 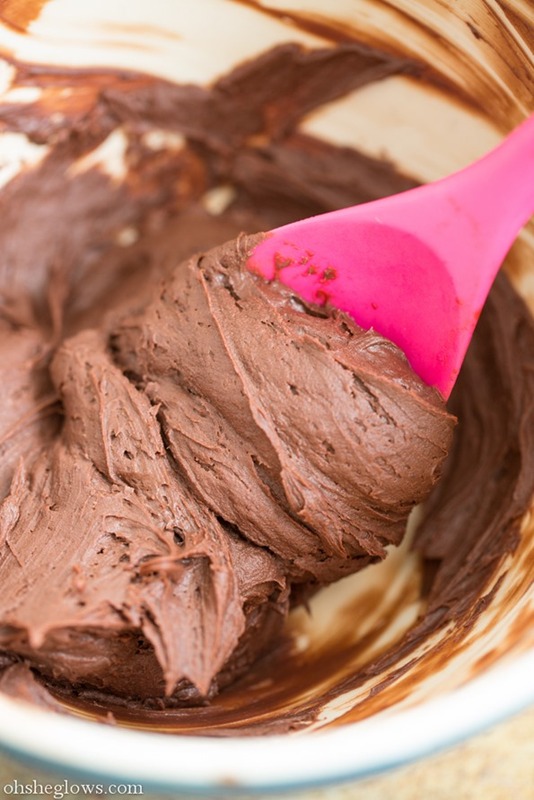 It’s perfect for this chocolate frosting recipe! Try it. 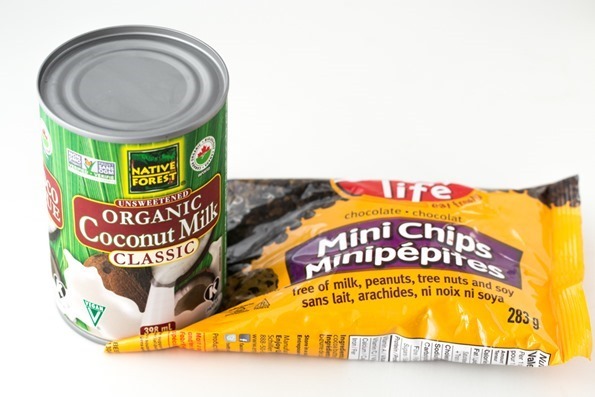 You’ll never buy coconut milk in a can again. I make a batch a week and use it as a coffee creamer and whenever milk or cream is required. Deelish! I haven’t had any trouble with Thai Kitchen coconut milk but instead of melting chocolate chips I use powdered sugar and unsweetened cocoa powder. Quick and easy. P.S. Trader Joe’s semi-sweet chips are non dairy (crafted on equipment…) as are Guittard, which I prefer and get at Albertson’s. Hi!! I found the straight up coconut cream! I would assume if I use the whole can then I should double the amount of chocolate chips? Angela, do you know or have any insight into this? Where did you score the can of coconut cream? Sounds awesome! In a “normal” 400-mL can of full-fat coconut milk (with the coconut water and cream portions), there is generally 3/4-1 cup of solid white coconut cream. So I suggest using that amount to make this recipe. I hope this helps! This is the most disgusting icing I have ever made. I assumed it would be fun to top my son’s graduation cake with due to it’s simplicity, but no. It taste exactly as what it is. Whipped chocolate chips. I would have been better off spending my money on a pre made frosting from the store, or on a useful recipe from another site. Definitely disappointed and angry with the outcome. Now dollars and time short, I have a son who will be disappointed as well. Can’t believe folks will find this cheap tasting frosting useful. This is the last time I come to this site. I made this frosting exactly as you state in the instructions. AMAZING chocolately fudge goodness. I don’t like or eat coconut, but OH MY, I couldn’t resist eating spoonfuls of this! I used this frosting on your Vegan Chocolate Cupcake recipe. Chocolate decadence! Thank you for sharing! Thank YOU for the lovely comment, Patti! I’m so happy to hear you enjoyed the frosting. can you taste the coconut though? Is it a super strong flavor? Want to try making it this weekend! I tried your vegan chocolate frosting yesterday and it was lovely! I did add a bit of icing sugar as I had bought 70% dark chocolate and I like chocolate a bit more sweet. I did find that I bought the wrong can of coconut milk because when I opened it there was not a separation of the water from the thicker coconut milk. When I checked the ingredients on the can there were multiple ingredients rather than just one or two. A quick run to the store and buying a can of coconut milk with the only ingredient being coconut milk solved the issue. I was not aware before that different coconut milk cans will have different ingredients. I will read my cans better the next time I buy coconut milk. How can I tell if this is a full fat coconut milk? The fat content of this says 13 g and 20% of daily value, in this coconut milk from Thailand? Hey Margie, My full-fat can says it contains “11 grams of fat” per serving (60 mL) so it sounds like yours might be too! Hi!! This frosting looks absolutely delicious, and I can’t wait to use it for my Nana’s birthday cake. I was wondering, firstly, if it tastes like coconut at all? I dislike the taste of coconut milk, and I’m not sure how much my Nana likes coconut, so I’d love to know before I make it. Also, can this be piped into shapes and swirls? I got a new piping bag and I really want to use it for the cake. Thanks in advance!! Great article.. but can you please tell me how much cream is needed for the frosting? Hey there, Of course! You’ll need between 3/4-1 cup of solid white coconut cream for this recipe. Hope this helps! This frosting looks amazing!! I am going to make some for Memorial Day weekend to dip fruit in. Thanks for sharing your recipe! I like the sound of this recipe but need to make the cakes in advance. Can this frosting be frozen? Hey Victoria, Oh thats a good question…I’m sorry but I’m not sure! I would suggest freezing just a small amount in advance to test it out. Does the frosting take like coconut? Or chocolate?